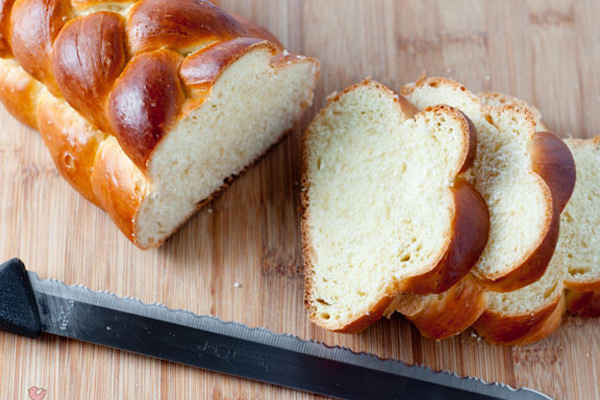 Greeks love their greens, and this traditional recipe for fasolakia is the proof! Our grandmothers call them “fasolakia giaxni”, because the beans are stewed in a tomato and onion sauce.We eat this dish with bread and feta cheese. Some people prepare fasolakia as a side dish for chicken or biftekia, but it’s totally up to you. Fasolakia is a great recipe and a very filling course. They are very healthy, and you guessed it right, it’s vegan and one of the best plant-based dishes the Greek cuisine has to offer. And yes, they are very easy to make. Most super markets carry peeled frozen French beans, although I always go to my local farmer’s market to buy fresh ones, along with the sauce tomatoes, potatoes, and fresh herbs. I cannot point this out enough, but in order to master this classic Greek recipe for fasolakia, you have to use lots of olive oil. Don’t hesitate to add lots of good quality extra virgin olive oil, unless you want bland and water fasolakia, which is the opposite of the whole “ladera” concept. Olive oil brings out all the flavors and aromas of the fresh produce and makes the fasolakia so rich. Personally, I love my beans a little crunchy and not overcooked – however, most Greeks make them super soft and I am okay with it. Enjoy this tasty Greek-style green beans recipe! If you like this video and want more recipes, please subscribe to my YouTube channel (it’s free and very cool!) Kali orexi! 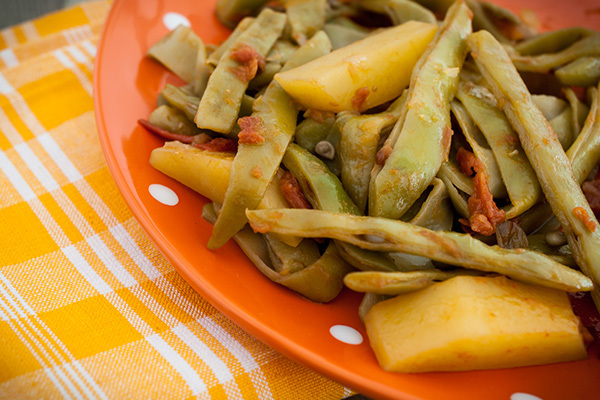 Fasolakia is a traditional plant-based Greek dish, made with green beans stewed in a fresh tomato and onion sauce. Serve your Greek-style green beans with feta cheese and bread! To prepare this traditional Greek green beans recipe, start by washing thoroughly the green beans. Drain them in a colander, trim their edges and set aside. Heat the olive oil in a large pot over medium heat. Add the chopped onion and sauté until transculent. Stir in the green beans, the potato and the tomato. Add salt and freshly ground pepper and and blend well, so that the green beans are mixed with the olive oil and the tomatoes. Add a cup of water - as much as you need to cover the green beans. Cover with the lid and allow to simmer for 40- 45 minutes, until the green beans are soft and most the juices have evaporated. During cooking, check out if the pan appears to be getting dry and add extra water if needed. Towards the end of cooking time stir in the chopped parsley. Serve the Greek green beans (fasolakia) warm or at room temperature. Fasolakia go great with feta cheese and bread. Enjoy!